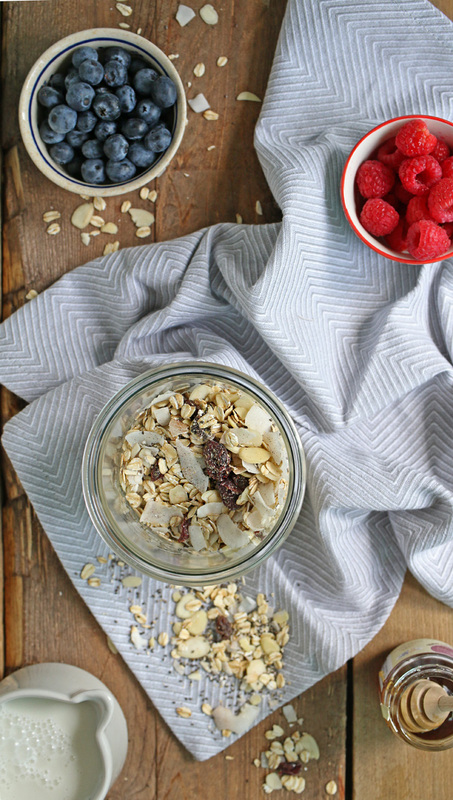 If you’ve never heard of muesli before don’t worry you’re probably not alone. I first discovered it while living abroad in Australia as its a very popular breakfast option there. 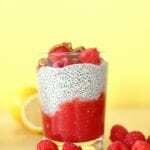 They often serve it with fresh fruit, milk and yogurt and its delicious. 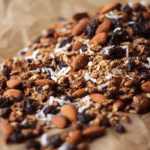 Just picture granola but not clustered and can be made with either toasted or untoasted oats. 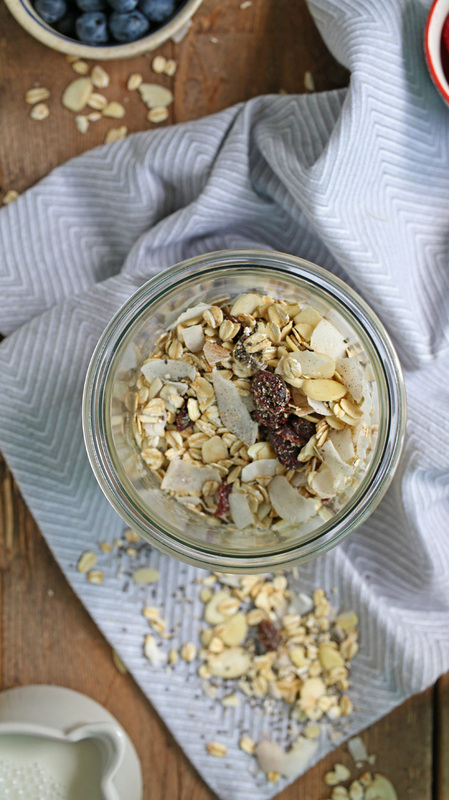 If you peek inside the HealthNut HQ aka my kitchen you’ll always see a few large mason jars on my counter of ingredients I grab for most often and this breakfast muesli blend always make the cut! 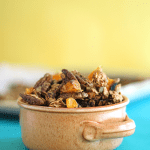 I love having it on hand for quick on the go breakfasts and since I make it all myself I know the ingredients are good quality and there’s no unnecessary added sugar or sodium compared to most packaged cereals and granolas. No matter how busy my mornings are I never skip out on breakfast because without my brain food first thing in the day there’s no way I’ll be able to sustain my energy throughout the day and get everything done on my to do list. So for all of you “I’m too busy to eat” peeps this breakfast muesli is the answer to your morning food problems. You can either turn it into my Simple Bircher Muesli recipe or add it to some plain yogurt with fresh fruit like berries, peaches or apples for a quick last minute option. 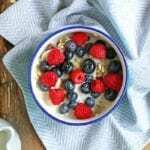 If you recreate this simple breakfast muesli recipe share a photo on social media and TAG me @urhealthnut so I can easily find it and like it! 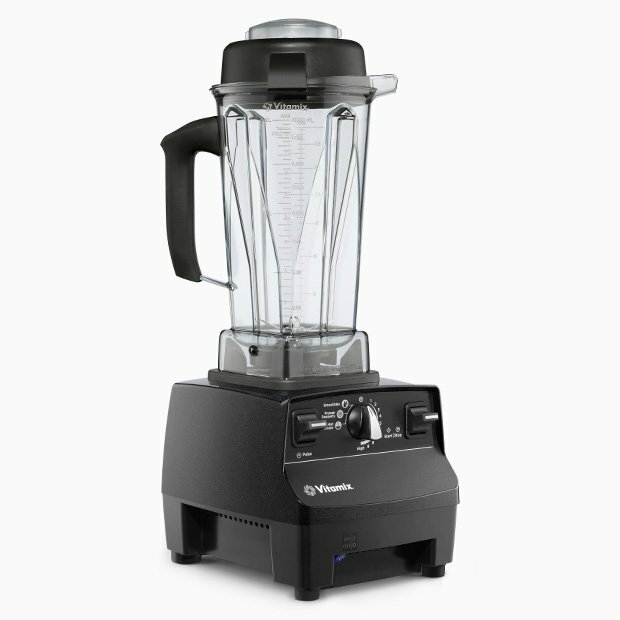 In a large bowl mix together all ingredients then trasnfer to a large glass mason jar with a lid and store in the pantry until ready to use. 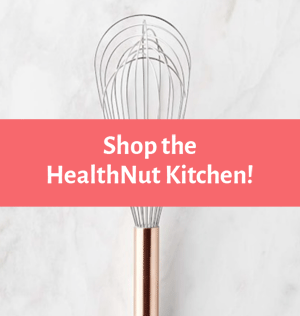 You can also make my https://www.healthnutnutrition.ca/2017/09/11/best-simple-bircher-muesli/">Simple Bircher Muesli recipe here. 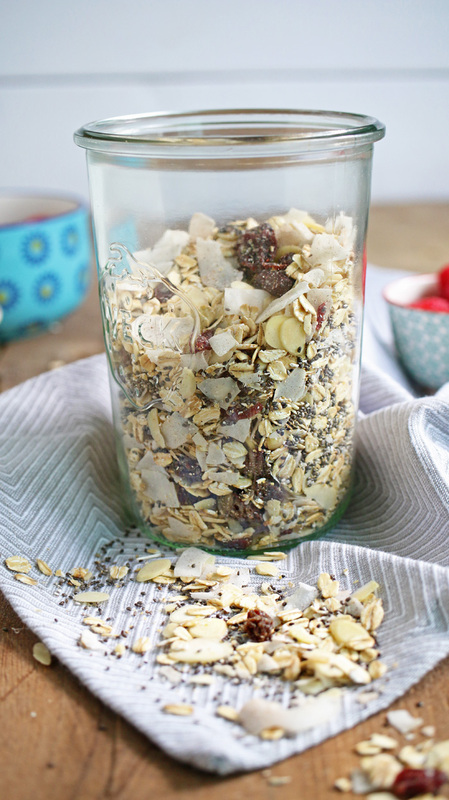 Muesli can be store in an airtight container on the counter for 1-2 months. I haven’t had muesli in a very long time, but I remember sprinkling it on everything–yogurt parfaits, fruit salads, sweet potato boats, oatmeal, and so much more. It’s delicious! 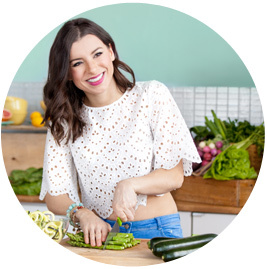 Love this recipe and how simple it is! What else can I add instead of the raisins and cranberry’s? not a fan of either… or should i just leave it out? Sounds super good though. cant wait to try it ! !